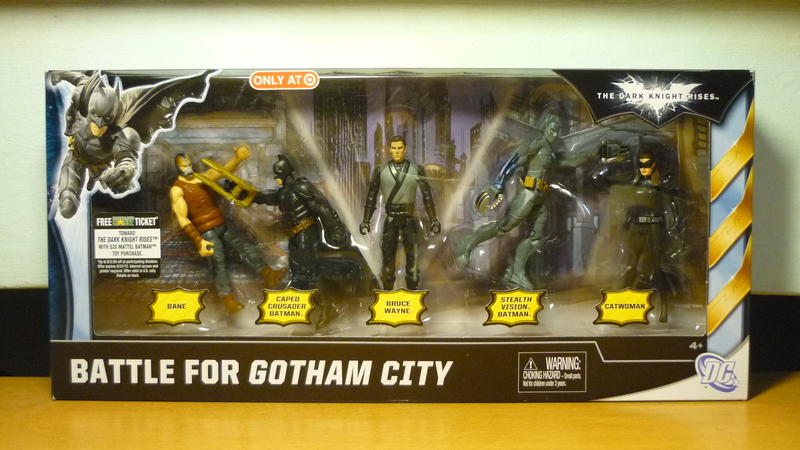 Thanks to a contact at a local toy specialty shop, I was able to acquire the Target exclusive “The Dark Knight Rises – Battle for Gotham City“. 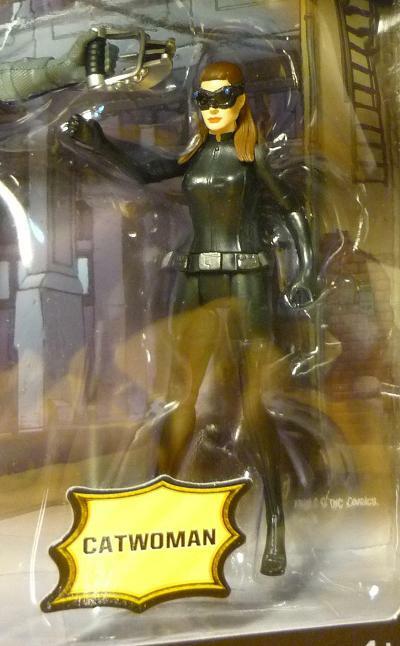 Selina Kyle, aka Catwoman, she is in her “goggles-down” mode. The goggles are sculpted together with the head and are not removable. 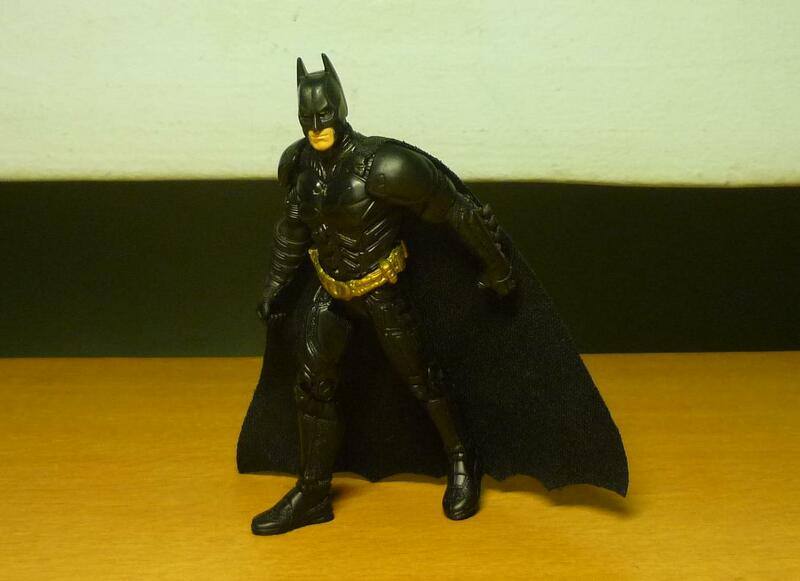 Bruce Wayne is in his ninja training fatigues as seen in “Batman Begins”. 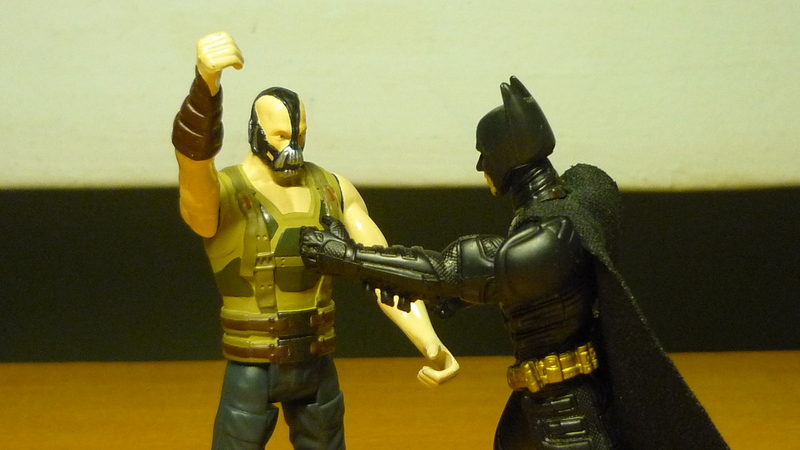 Batman fights with Bane, with Batman using some kind of weapon. 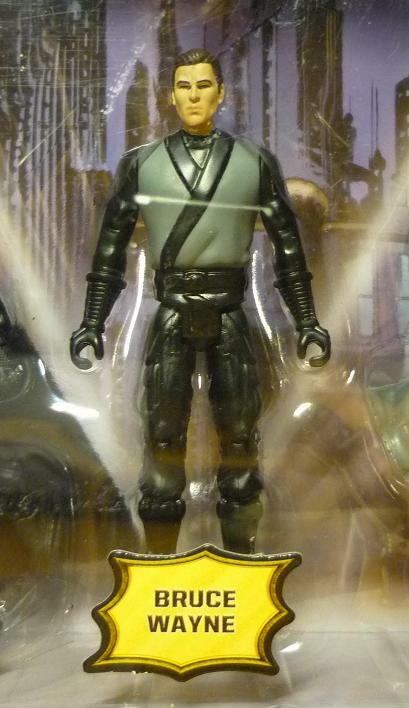 Bane’s colouring scheme does not match up with his onscreen appearance. 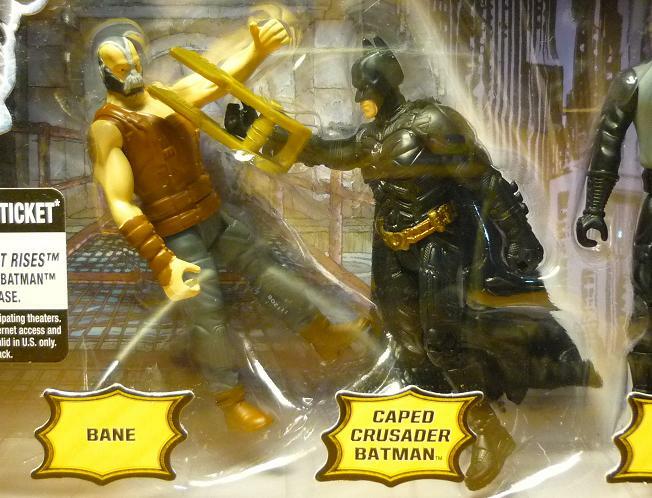 In fact, none of the 4″ Banes released by Mattel resembles that seen in “The Dark Knight Rises”. 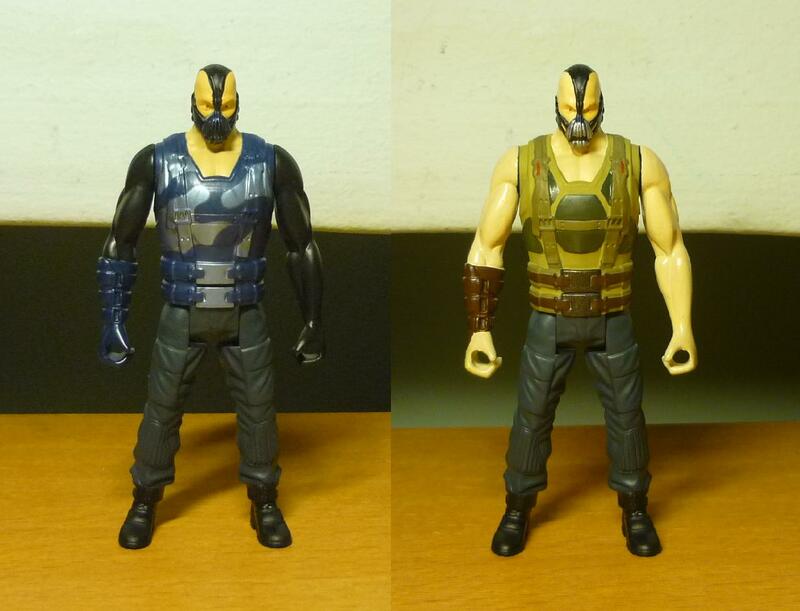 Apart from the brown vest Bane seen above, Bane also comes in green, black, and silver-blue. 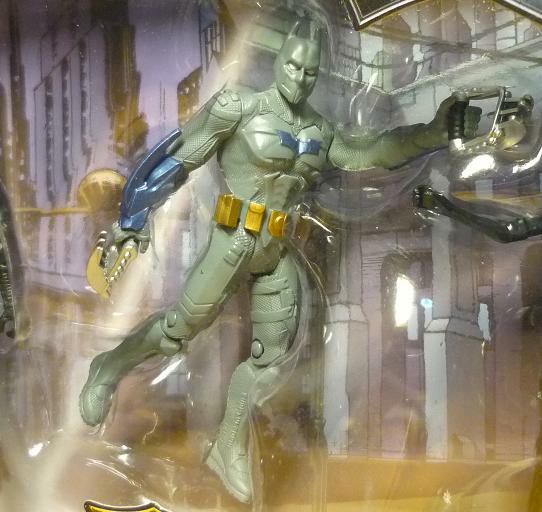 And this is “Stealth Vision Batman”, one of the many fruitcake Batmans released by the toy company this time round in conjunction with the movie. As you would expect, Batman never appears as such in “The Dark Knight Rises”. Great movie btw, a fitting conclusion to the Nolanverse Batman trilogy. 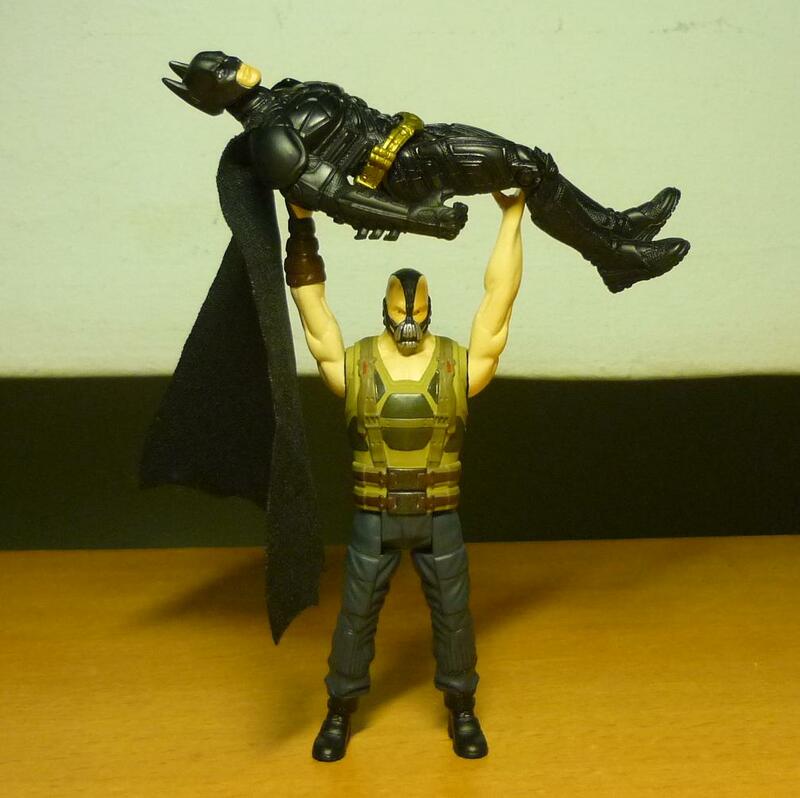 The latest Batman movie, “The Dark Knight Rises”, is right around the corner, so I’d like to take this opportunity to showcase a couple of my 4″ Batman Figures, to hype myself up, as well as everybody else, in eager anticipation of the upcoming movie. 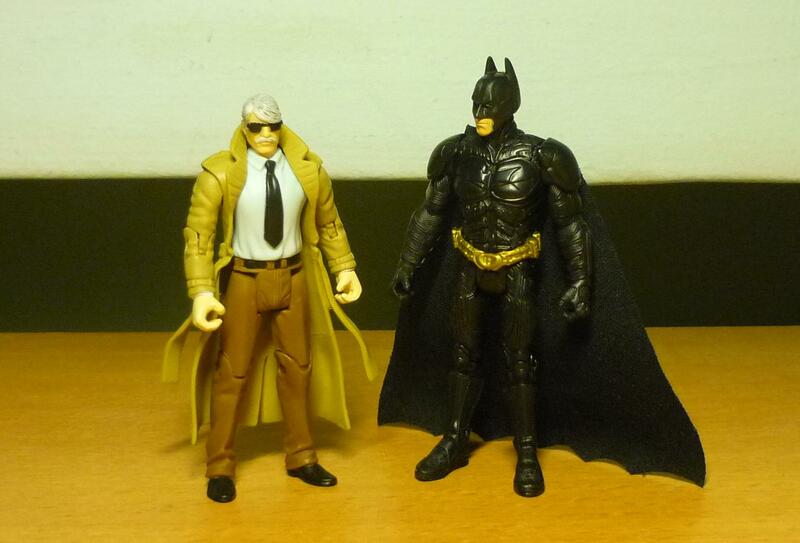 Gotham City Police Comissioner James Gordon, Batman’s only ally in the GCPD. Villians from “Batman Begins”. 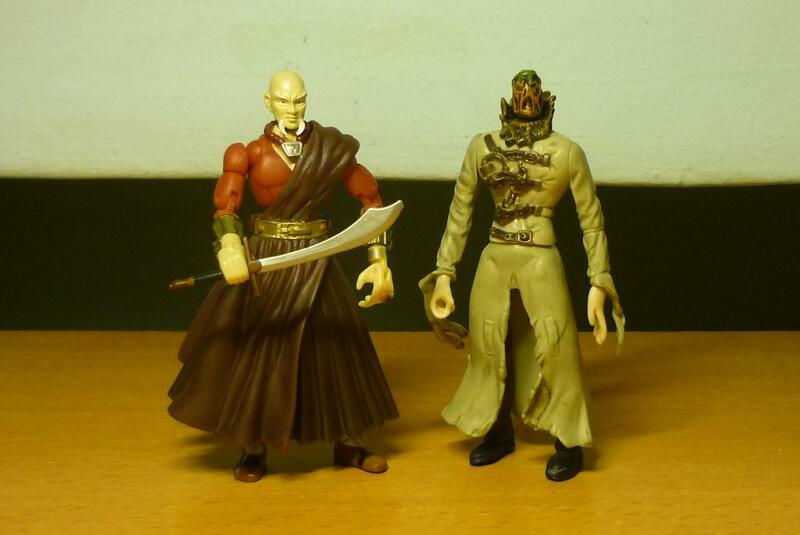 From left: Ra’s al Ghul (or is it his decoy? ), and the Scarecrow. The Joker with one of his goons. 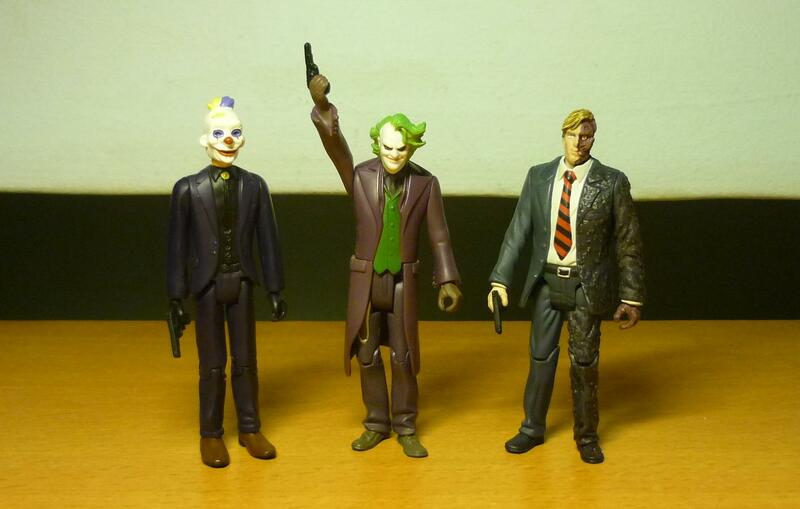 With Two-Face alongside him, Harvey Dent having been turned. Note that the Joker’s face bears little resemblance to his actual appearance in “The Dark Knight”. This sanitised version of Joker also appears in all junior publications of “The Dark Knight”. Let’s see if this actually happens. 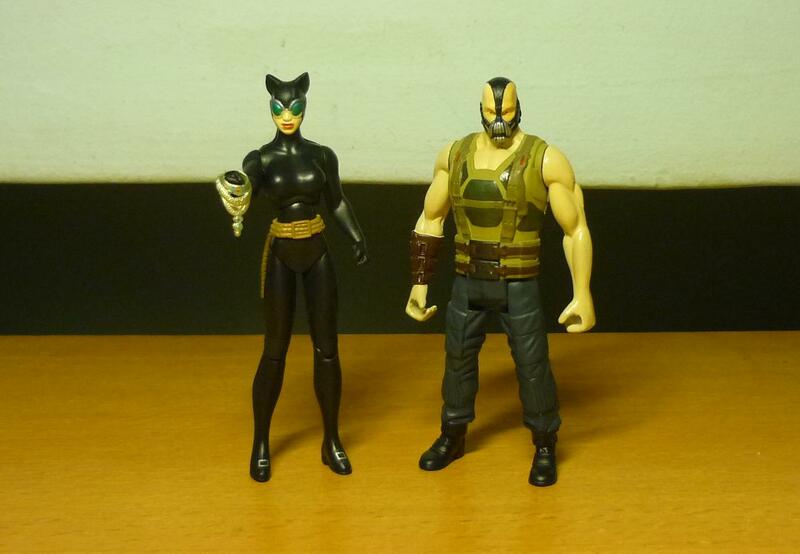 Bane is a custom painted figure, done when I impulsively bought the original 4″ Bane figure (on the left), and then realised that he isn’t really going to look like that in the movie. Rather than buying one of the other 4″ Banes (none of which resemble the onscreen appearance anyway), I decided that the only solution was, to paint him myself. Voila!